View cart “Paw Paw, Carrot and Orange Soap” has been added to your cart. A handmade facial soap mixture, shrink wrapped for freshness, containing essential ingredients lavender, pink clay and apple cider vinegar. This multi-purpose product has 3 uses – cleanser, toner and moisturiser. 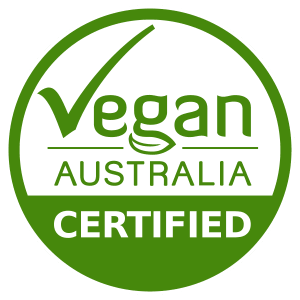 A Gypsy Rose Australia’s handmade Lavender, Clay and Apple Cider facial cleansing bar is completely biodegradable and cruelty-free. Most of all its especially relevant that it’s a multi-purpose product. Therefore you’re reducing waste, while indirectly helping our environment. As a result, it may control and prevent acne prone skin because your using the same product for 3 uses -as a cleanser, toner and a moisturiser. This Facial Soap’s essential ingredients include Lavender, Pink clay and Apple Cider vinegar, which effectively removes the top layer of dead skin and freshens the underlying skin for a smooth, moisturised and firm look. The Gypsy Rose Facial soaps are most noteworthy as the original way of cleansing using cold water as your toner. They are cured for 3 months as a good old fashioned soap was made. Also being pH balanced, they leave your face feeling smooth and soft. Lavender essential oil has anti-inflammatory and antiseptic properties. Therefore this may help fight the bacteria that causes acne and inflammation. It also may aid in the treatment of eczema and may detoxify the skin. Pink Clay (a blend of white and red kaolin clay) offers an ideal balance of oil-vacuuming and gentle exfoliation. It is gentle enough for sensitive skin. While offering these gentle exfoliation, maximum oil-absorbing powers, it may aid in detoxification. Apple Cider Vinegar hides wrinkles. This all natural astringent will make your skin feel smoother. Also aid in absorbing excess oils, while may help hide fine lines. It can also help restore the proper pH levels of your skin helping it from future issues. The Gypsy Rose Lavender, Clay & Apple Cider Facial soap mixture is a multi-purpose product, you do not require any other facial cleansing product to remove your face makeup. Nor do you need additional moisturisers or toners. We do suggest however, that you use Gypsy Rose Rosehip oil to remove your eye makeup and in drying weather can pat a light moisturising film on face after using facial soap mixture. Yes, you can alternate between the 3 soap mixtures depending on daily conditions. Or you can even combine the soaps for certain areas of your face; eg. use the Lavender, Clay and Apple Cider on oily, acne -prone areas &/or T-zone, and the Paw paw, carrot and orange on the outside dry areas of your face. The product will last approximately minimum 3-6 months with normal facial use of once a day, as it does not dissolve easily. We suggest using the product, once a day in winter and twice in summer. It has been known to last over 6 mths. It makes our product last-longer, having an environmentally friendly footprint. 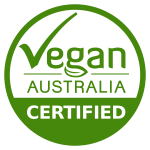 It is sourced from ethical sources and eco -friendly plantations. It reacts with the other oils to create the optimal moisturising effect, as well as the 3 multi-purpose actions cleansing, toning & moisturising (exfoliating at the same time). 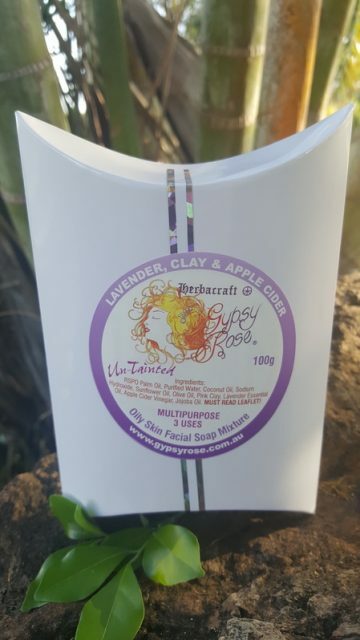 PLEASE NOTE: Please allow a 2 week trial to allow Lavender, Clay & Apple Cider Facial Soap Mixture to remove the top layer of dead skin and refresh the look of your skin.